· Grade 3 – Loss of consciousness (more than 5 minutes). Amnesia (more than 24 hours). Is it Possible To Get a Concussion Without Hitting Your Head? Yes. When the head is jerked back and forth, such as with whiplash, it can jostle the brain, causing it to hit the bony protrusions that are inside the skull, that hold the brain in place. This can result in a brain injury, including bleeding and bruising of the brain. Are There Any Long-Term Problems That Come From Having a Concussion? Some people experience the initial symptoms of concussion for weeks or even months after it occurs. In severe concussion cases, a person may experience impaired cognitive ability, personality changes, chronic migraines, and chronic pain in the body. If you think that you have a concussion, get medical treatment immediately. Go to your nearest emergency department or to your doctor’s office to be evaluated. Even “minor” concussions can be serious; don’t risk your health. The type of treatment depends on the severity of the injury. In minor cases, the patient may be prescribed rest and prescription medication or advised to take an over the counter medication like Advil or Aleve. More severe cases may require physical therapy, multiple brain scans, and ongoing drug therapy in order to minimize the pain and prevent complications. If you suffered a head injury in a car crash, call our McKinney, Texas Auto Accident Lawyers for a free, strategic case evaluation at 844.863.3796. 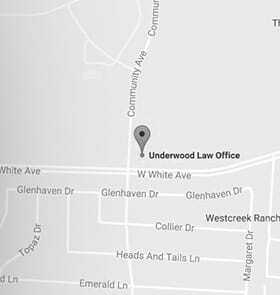 Our McKinney, Texas law firm serves all of Dallas and Fort Worth, including Plano, Frisco, Allen and McKinney.